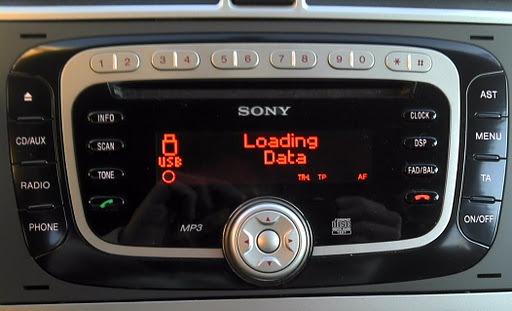 All of a sudden, the Sony car stereo of my Ford C-Max refused to read the USB Flash Drive I've been using for more than a year. The USB stick was untouched for a long time, no new tunes were added and I don't even remember the last time I've pulled it out of the plug. The display was struck on the name of the last song played and every attempt of changing song resulted in an endless "Loading Data" screen. The USB stick was perfectly readable on a PC, songs were not corrupted and played flawlessy on my home stereo. I even reformatted it and loaded back all the songs, but the result was the same. As a last resort I tried another USB stick: the car stereo went back to life, and after that, even the original USB stick worked again.